For a sci-fi fan like me, fascinated by the nature of human intelligence and the possibility of building life-like robots, it’s always interesting to find a new angle on these questions. As a re-imagining of the original 1970s science fiction film set in a cowboy-themed, hyper-real adult theme park populated by robots that look and act like people, Westworld does not disappoint. 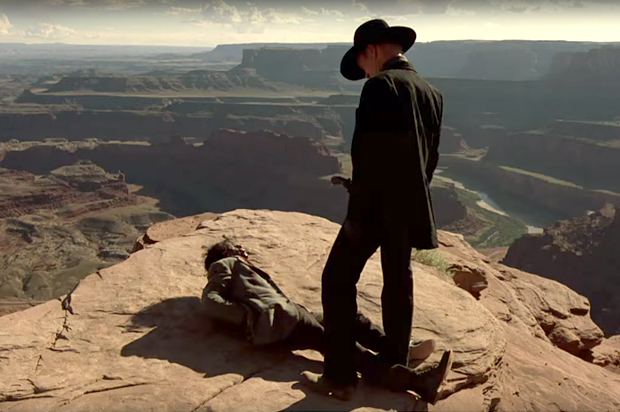 Westworld challenges us to consider the difference between being human and being a robot. From the beginning of this new serialisation on HBO we are confronted with scenes of graphic human-on-robot violence. But the robots in Westworld have more than just human-like physical bodies, they display emotion including extreme pain, they see and recognise each other’s suffering, they bleed and even die. What makes this acceptable, at least within Westworld’s narrative, is that they are just extremely life-like human simulations; while their behaviour is realistically automated, there is “nobody home”. But from the start, this notion that a machine of such complexity is still merely a machine is undermined by constant reminders that they are also so much like us. The disturbing message, echoing that of previous sci-fi classics such as Blade Runner and AI, is that machines could one day be so close to human as to be indistinguishable – not just in intellect and appearance, but also in moral terms. At the same time, by presenting an alternate view of the human condition through the technological mirror of life-like robots, Westworld causes us to reflect that we are perhaps also just sophisticated machines, albeit of a biological kind – an idea that has been forcefully argued by the philosopher Daniel Dennett. The unfortunate robots in Westworld have, at least initially, no insight into their existential plight. They enter into each new day programmed with enthusiasm and hope, oblivious to its pre-scripted violence and tragedy. We may pity these automatons their fate – but how closely does this blinkered ignorance, belief in convenient fictions, and misguided presumption of agency resemble our own human predicament? But against these voices are other distinguished experts trying to quell the panic. For Noam Chomsky, the intellectual godfather of modern AI, all talk of matching human intelligence in the foreseeable future remains fiction, not science. 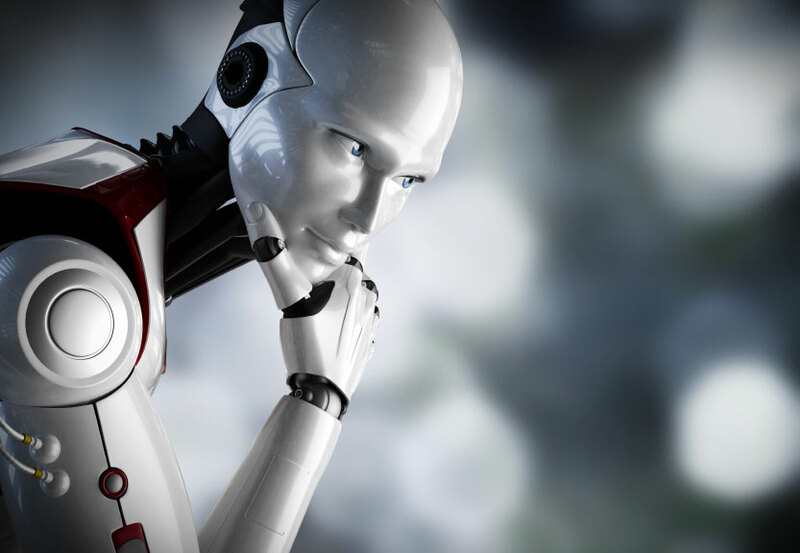 One of the world’s best-known roboticists, Rodney Brooks has called on us to relax: AI is just a tool, not a threat. As a neuroscientist and roboticist, I agree that we are far from being able to replicate human intelligence in robot form. Our current systems are too simple, probably by several orders of magnitude. Building human-level AI is extremely hard; as Brooks says, we are just at the beginning of a very long road. But I see the path along which we are developing AI as one of symbiosis, in which we can use robots to benefit society and exploit advances in artificial intelligence to boost our own biological intelligence. Nevertheless, in recent years the robots and AI are “just tools” line of argument has begun to frustrate me. Partly because it has failed to calm the disquiet around AI, and partly because there are good reasons why these technologies are different from others in the past. Even if robots are just tools, people will see them as more than that. It seems natural for people to respond to robots – even some of the more simple, non-human robots we have today – as though they have goals and intentions. It may be an innate tendency of our profoundly social human minds to see entities that act intelligently in this way. More importantly, people may see robots as having psychological properties such as the ability to experience suffering. Being human is about more than just looking the part. It may be difficult to persuade them to see otherwise, particularly if we continue to make robots more life-like. If so, we may have to adapt our ethical frameworks to take this into account. For instance, we might consider violence towards a robot as wrong, even though the suffering is imagined rather than real. Indeed, faced with violence towards a robot some people show this sort of ethical response spontaneously. We will have to deal with these issues as we learn to live with robots. As AI and robot technology becomes more complex, robots may come to have interesting psychological properties that make them more than just tools. The fictional robots of Westworld are clearly in this category, but already real robots are being developed that have artificial drives and motivations, that are aware of their own bodies as distinct from the rest of the world, that are equipped with internal models of themselves and others as social entities, and that are able to think about their own past and future. These are not properties that we find in drills and screwdrivers. They are embryonic psychological capacities that, so far, have only been found in living, sentient entities such as humans and animals. Stories such as Westworld remind us that as we progress toward ever more sophisticated AI, we should consider that this path might lead us both to machines that are more like us, and to seeing ourselves as more like machines.